The Muse 3 has been designed with impressive flying characteristics that will surprise the eager intermediate pilot fresh out of training. 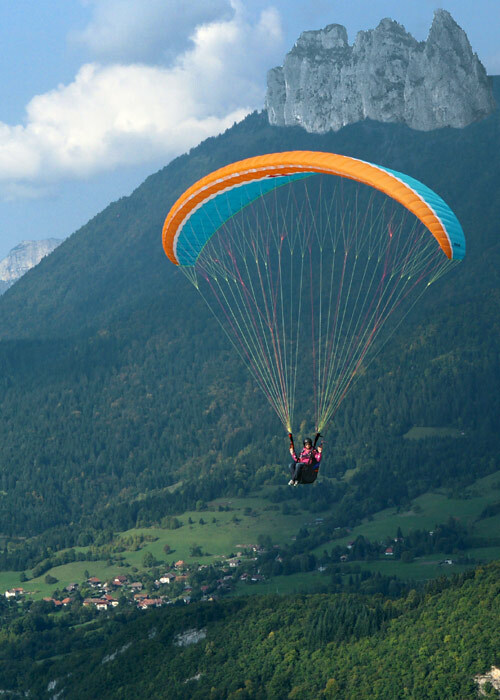 The Muse 3 is in its own class called relaxed sport because of its fun handling and performance usually found in more advanced paragliders. You will love how easy it does everything well in a calm yet sporty feel. Critics say it’s so easy to fly it practically fly’s itself! Forget about thinking you have to buy a new glider every year. 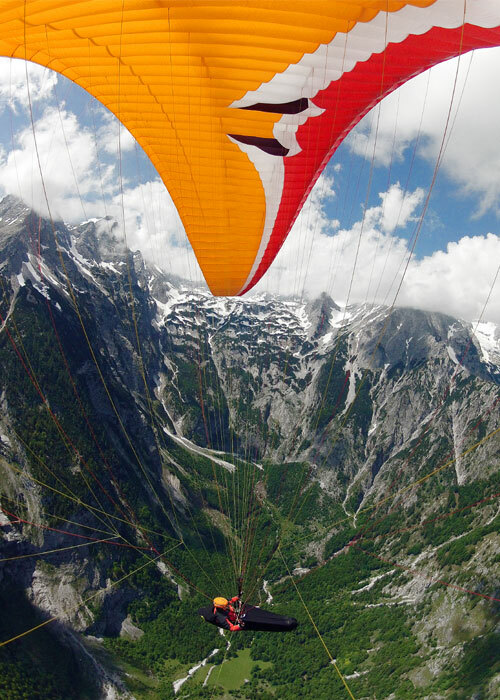 The newly designed Muse 3 embodies designs from MacPara’s other intermediate performance paragliders. The bonus is that it offers incredible safety and stability that is really fun to fly. This allows pilots to fly more often without the worry of feeling like their flight may be jeopardy. Safety and performance matched together makes this a popular choice for pilots who take a causal approach to flying on weekends. The Muse 3 is certified in the EN A glider category. The Muse 3 is simple to control on the ground and in the air. You will feel like a pro with its exceptional take off characteristics to get you flying right after inflation with no hassles. It will stay above your head without the tendency to collapse or wander off course. 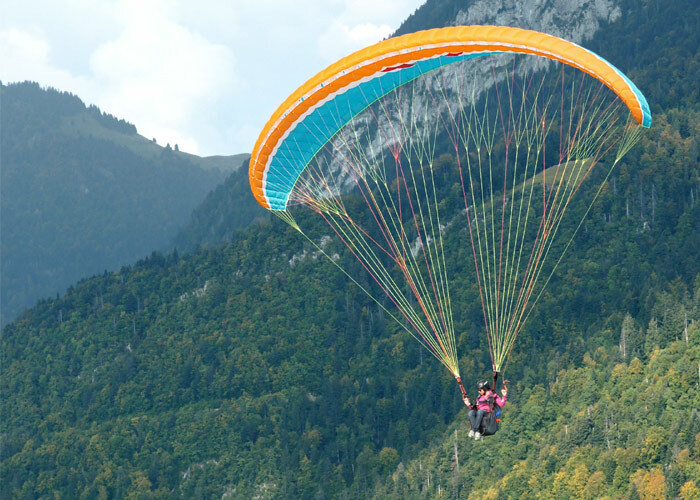 The safety in the Muse 3 is best admired by pilots that are looking for a paraglider resistant to collapse. With this glider you can keep your eyes on the scenery instead of being worried about what’s coming next. Flying the Muse 3 you will notice immediately how well it is able to perform everything you need to enjoy the flight without feeling like your missing out. MacPara hit the target by designing a fun performance glider with high stability characteristics. Redesigned to Make You Look Good! 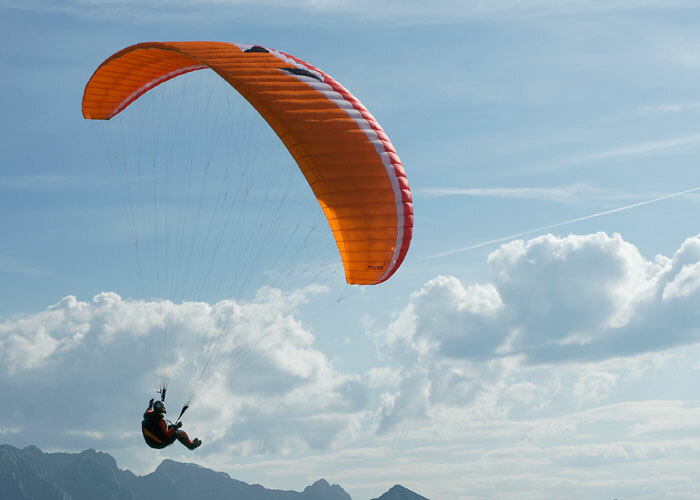 Based on the success of the Muse 2, the Muse 3 continues making history because of its popularity and beloved launching characteristic that MacPara paragliders are known for. It has become one of the bestselling gliders because of how happy pilots feel flying it. Many gliders competing in the entry level glider class are boring once you learn the basics of launching and landing. Not the Muse 3. You would be hard pressed to think you could out fly this glider. Some even say it’s a perfect glider for learning acrobatics because of its performance and built in safety recovery characteristics. Your abilities to play like a bird will exceed your expectations. You will be glad to know that the safety of the Muse 3 is also found using full speed bar. The new Muse 3 has given more attention to the airfoil resulting is a noticeably better glide ratio and in flight stability. The smooth shape of the airfoil nose is maintained by long lasting Mylar reinforcement combined with new age plastic rods. These high tech rods give the front of the glider stability in the air after it effortlessly scoops up the air for a perfect launch. 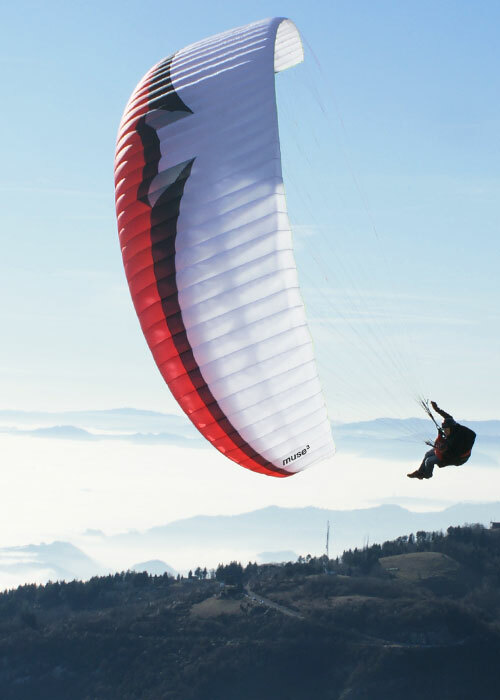 The Muse 3 is yet another quality made glider by MacPara that will continue to perform for the years to come. The construction using diagonal ribs and a system of load-bearing tapes gives the canopy stability and helps keep a clean profile. The Muse 3 has 45 cells and a nice elliptically shaped canopy with an aspect ratio of 5.00. The glider is light. Just 5.1 kg for the medium size which results in very easy launches with or without a paramotor. Intensive testing resulted in a well balanced glider with simple take-off characteristics and easy behavior during extreme maneuvers. The canopy is very resistant to collapse keeping your flight on track. In the event of a collapse the opening is smooth and fast. In an induced collapse the glider gives a rotation of only 30 degrees. The canopy of the Muse 3 is well damped in all axes but offers lively sporty handling to keep you smiling! The light brake pressure allows pleasant turns during long thermal flights and increases progressively towards the end to offer a good safety margin. It has a large brake range offering good pilot input to know how the glider is flying above you. 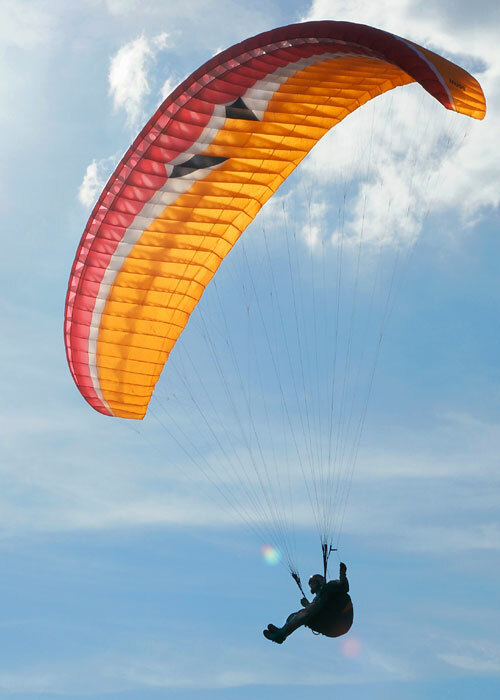 The Muse 3 is 4 liner paraglider with a 5 point riser system and split “A” risers for easy big-ears. 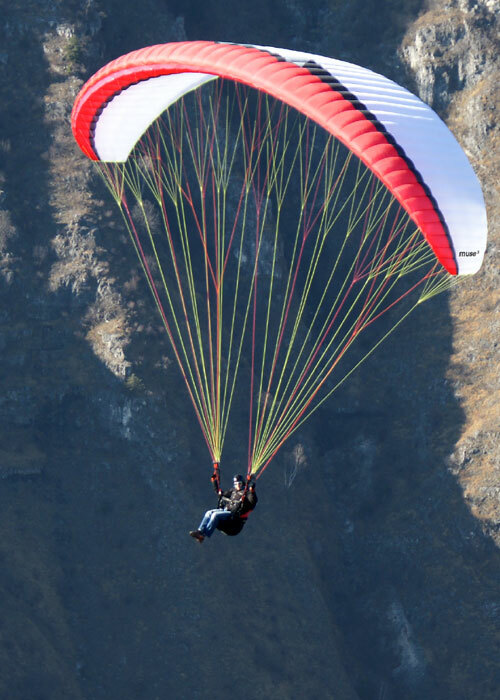 The risers have 2 suspension points giving the option of free flying or paramotoring. This is a nice option for pilots that don’t want to buy two paragliders. More and more pilots are realizing the Muse 3 does it all well! The transition from free flight to powered flight is very simple: hook up the carabineers in the second position and off you go with shortened riser length for powered flight! There is no need to extend the brake lines. 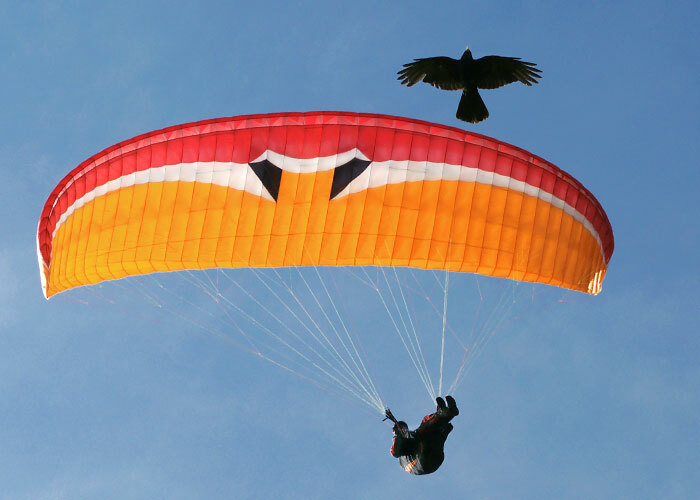 Regardless if you are using the Muse 3 for paragliding or paramotoring it has been certified to fly perfectly in thermals and cruise like a soaring eagle. The Muse 3 is designed for pilots that want the most out of their flight without the headache and stress of waiting for “things” to go wrong in turbulence or powerful thermals. Undoubtedly, the Muse 3 lets you fly with ease. The Muse 3 stood out among the EN-A gliders in the Testival issue of July 2011. It was the representative which came closest to being an intermediate glider. In a solo test we now take a thorough look at look at how well equipped this Czech glider really is. In ancient Greece, the Muse was believed to be a source of inspiration, which should spur creative achievement. This is a beautiful image, which aptly seems to be especially true for the brand new EN-A category glider from Mac Para Technology. From the beginning the engineer, director and designer Peter Recek is not unknown, quite the opposite. He is a veteran of the flying scene, former member of the Czech national team and privately a nice fellow. Despite his success Peter speaks modestly about his designs even though his gliders are now and were, time and again at the top of the development. Most recently, he landed a groundbreaking development leap with the Magus XC2. Interesting is the view at the reorientation of the manufacturer on the performance. Despite the lack of mention in the specification Peter reported a significant increase in performance even with the new Muse. He speaks of a glide ratio of 8.3, one rarely achieved in this category. But the true qualities of the Muse 3 lie beyond the numbers. To comply with the inflexible requirements of the class for trim, material selection and security is not easy. The keyword is Safety: EN / LTF A class certification is not obtained every day, so the balance must fit. Not an easy target. As mentioned in our Testival issue, Mac Para offers in the safest A – category, two representatives. The Muse should move to the upper limit of the class to include the company requirements for powered flight. From this point of view climbing performance is important, to keep fuel consumption low. This orientation is also evident from the technical specifications, with 45 cells and an aspect ratio of 5.0, the design is clearly oriented to the typical intermediate rather than to the rest of the A-gliders. Like other manufacturers, the MAC PARA R&D team developed a completely new airfoil to fulfil the new requirements. In addition to the joy of climbing, the glider should increase the dynamic and handling. The basic shape of the Muse 3 is an ellipse, but this is hardly recognizable due to the glider’s design. On the leading edge are the omnipresent nylon rods and classic Mylar. The line concept is itself not very spectacular: The usual four rows, each with 3 main lines illustrate the requirement of powered flying. For paramotor use this is a better guarantee of the continuity of the trimming. Sheathed gallery lines speak the same language. This requirement is also obvious from the risers which have a separate hook-in point for powered flying. A glider for everything: not a bad thing! The workmanship of canopy, lines and risers are all very conscientious and there are no grounds for criticism. The sensitive pilot will notice immediately already at take off that the Muse 3 is more consistent with intermediate gliders. Front launching the climb is characterized by high directional stability, but the canopy must be braked at the top otherwise it will have a tendency to overfly the pilot. What possibly can look slightly tricky on the practice slope proves to be no problem after getting used to it, mainly because the canopy responds to the commands relatively quickly. The sorting of lines is average for the number of lines and makes inflation very nice. The result is a ready “starter” which is not foolproof, but in the hands of a talented beginner or advanced pilot it is a great joy. The reverse launch is similar. Especially pleasant is the ease with which the canopy can be brought over pilot’s head when sitting back. The responsiveness of the Muse 3 during the launch can be easily controlled by the brakes. This excludes the needs for frantic reaction from the pilot to suppress the canopy with the brakes which results only in indifference in many nursery slope canopies. Clearly the Muse 3 asks for and provides more than conventional devices in its class. Whilst checking the reactions on the ground during launch the pilot begins to understand that thoughts about the handling are coming true. Nevertheless the ease with which the Muse launches is fantastic.The wing flies from the first second completely intuitively and unaided. Responses to brake input and/or weight shift are answered promptly and accurately. The wing quickly and willingly accepts all inputs. The brake pressure depending on the wing loading is medium to low, giving comfortable and fatigue-free flying. Only the stall point is not entirely easy to find, through its sheer inaccessibility makes this hardly relevant. Provoking the stall from normal reactions is not an option. 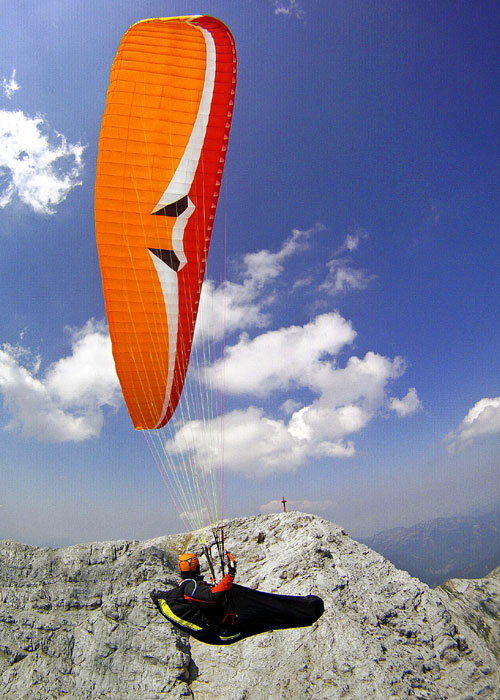 Highly encouraging is the “thermal capture”, “thermal handling” and the “climbing joy” of this new A-glider. While many other in the class counter entry into thermals by unpleasant sitting back, this Czech remains neutral. Usually stable above the pilot, steady height gain is only noticeable from the sound of the vario. Powerful and nevertheless well damped, the wing can still be turned wonderfully gently, which is by far not a must. Actually this is what separates the wheat from the chaff! Turbulent air under the Muse is hardly noticeable, in accordance with its classification but more than most of its A-class colleagues. In comparison the feedback is immediate and direct via the brake pressure and is good. The Muse 3 neither dives, sits-back, or levers out of the thermal, to achieve this it must have no yawing tendency. Pitch and roll damping are more within the range of a basic intermediate and it flies exactly like a glider of this class. Provoked deformations reward the newcomer with very pleasant behaviour. Collapses of the leading edge progress laterally, so that the rear portion of the canopy usually remains inflated. Even accelerated, it is very difficult to collapse larger areas of the canopy. Even with a completely passive pilot, the span only starts to deviate from course in slow motion; however the folded portion continuously opens starting from the centre progressively to the outer wing. Such a collapse or any cravat of the wing is hardly possible. Even on full bar during the testing stage no turns greater than 45 ° were flown. Indeed: an A-class glider! No-one would ascribe freestyle suitability to an A-glider. However if the controls are operated bravely, then the canopy builds an unhurried pleasant dynamic. 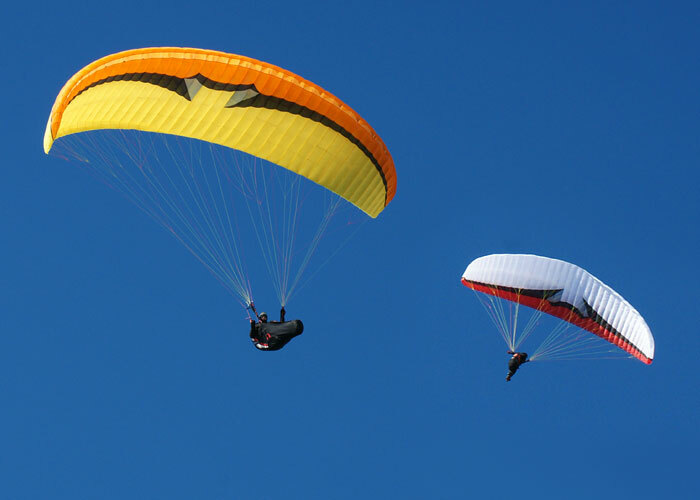 Hard to believe, but high wingovers are easily flyable, enabled by the gliders high manoeuvrability and responsiveness. Suitability for SAT, Helicopter and Full-Stall are hardly relevant for its main target group. Nevertheless: the wing is like no other for learning these manoeuvres the dynamic is there, although buried deep under a huge safety cushion. The final delight is the speed system. 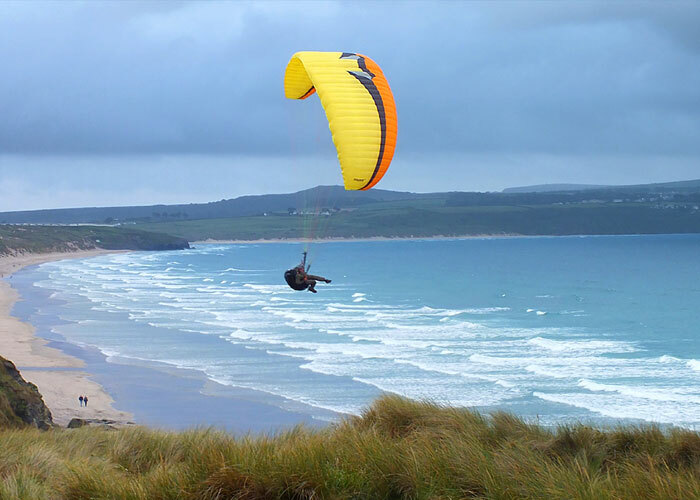 It operates with relative ease and the glider reaches a respectable maximum speed of 49 km/h. It is fascinating how docile the Muse 3 is on full bar. Even big thermal transfers could not induce a deflation, even performance-reducing deformation of the leading edge did not occur during our testing. Thanks to the split A-risers the ears quickly folded without too much resistance. The effectiveness was moderate to high. For opening you must give the Muse some time. If necessary a supportive, single braking impulse helps. For a clean B-stall the pilot must grasp the lines and pull vigorously. The forces are considerable, but not insurmountable. Also during the stall they remain high. The manoeuvre appears to be quite stable, a tendency to warp could not be found. The sink rate reached only about 6 m/s. After exiting, the glider starts to fly immediately, without over-shooting. Even after extensive flying and despite the gentleness of the extreme flight manoeuvres one question arises at the end: How can this glider be an A-category glider? The Muse3 looks like an intermediate, flies like an Intermediate, acts like an intermediate, shows adequate dynamics and all this at much greater safety margins. We searched in vain for a catch. 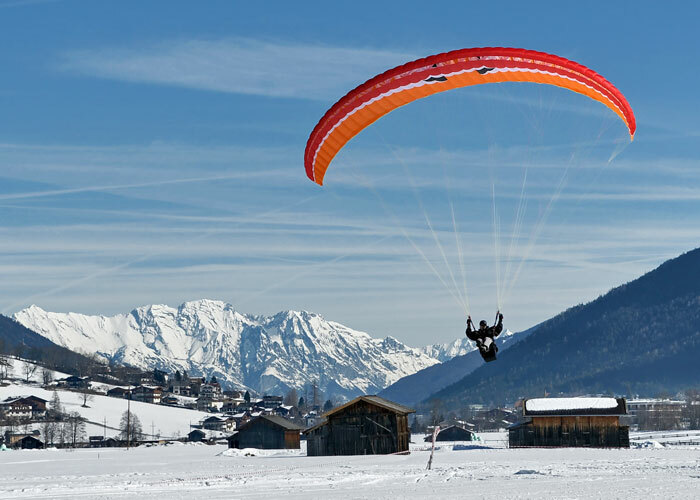 In the light of appealing performance, the good and especially stable top speed, the amazing freestyle suitability or suitability for powered flying, the question remains, what more could you wish for. You can’t ascribe full beginner capability to the Muse, but with a little practice during training it should be possible to upgrade to the Muse. Why not fly a fun glider from the very beginning? The potential target group for the Muse 3 is very wide. Even after many years of flying experience the Muse 3 never will act like a tank and never act as barrier to the fun of flying. Quite the contrary: The additional safety cushion allows no fear flying; great handling leaves nothing to be desired even by top pilots. Amazing at the end: In addition to the excellent free-flying properties, paramotoring with the Muse is not only possible but also allowed and encouraged. One thing is certain: It will be difficult to send back this glider! I have made a plurality of flights with the Muse 3, in our home areas Ternberg, Micheldorf, Bischling and the Dachstein / all in Austria. ***** Robust, proven materials. The only downside is the cheap-looking plastic pulleys. **** Very good workmanship with impeccable sewing. Suturing of the loops but without further tension distribution. **** Reliable climb, high directional stability, braking impulse at the zenith necessary. **** Good control with brakes or D-risers, high directional stability, braking impulse at the zenith necessary. ***** Unrivalled high in comparison to class. Steering ***** Good response to inputs, medium control travel, excellent damping. ***** Very high stability even accelerated, rotation under 45 °, leisurely opening from the centre of the wing. ***** Complies with all the virtues: efficiency, ease of movement, stability. **** Simple introduction, moderate folding depth, leisurely opening. **** High entry and follow-up forces, moderate efficiency, stable stall phase, barely any tendency to over-shoot during recovery. **** Leisurely development of sink rates after some persuasion, moderate efficiency.Active recovery recommended but not required. Technical specialities Thin plastic rod reinforcements in the leading edge, PPG suspension points incorporated into the risers. Suitability Talented newcomers, but also experienced mountaineers, freestyle aspirants, powered flight pilots, fun flyer, infrequent flyer, frequent flyer. 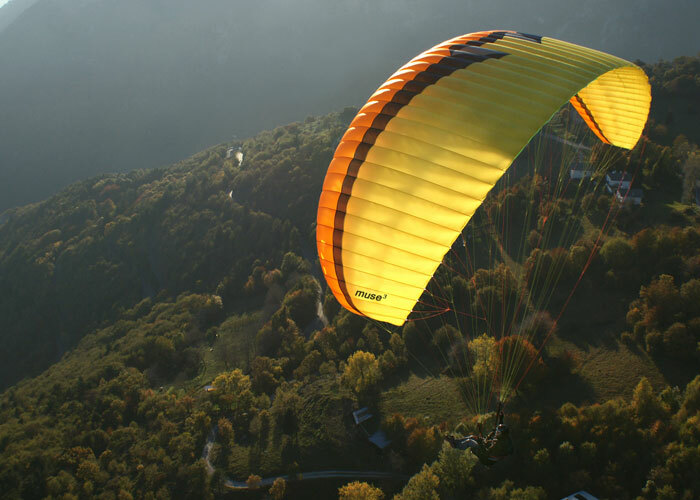 The Muse 3 is manufactured using the paragliding industries well established lightweight material with excellent durability; Skytex 40, from Porcher Sport (NCV). Because for any glider, the part that always wears out first is the leading edge, we use Skytex 45 with coating E85A for this. For the less stressed areas of the sail we use Skytex 40 with E38A coating. For the supporting and diagonal ribs we use Skytex 40 with “hard finish” coating E29A. This gives the advantage of a sail that is both lightweight and very durable. CLICK HERE you can printed special design on paper, or print to pdf.